What Exactly Did Blake Snyder “Invent”? 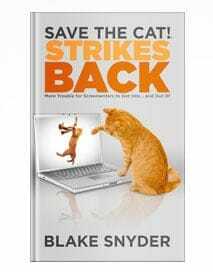 This blog post is adapted by BJ Markel, Blake Snyder’s editor, from his Foreword to Save the Cat!® Goes to the Indies in 2017. 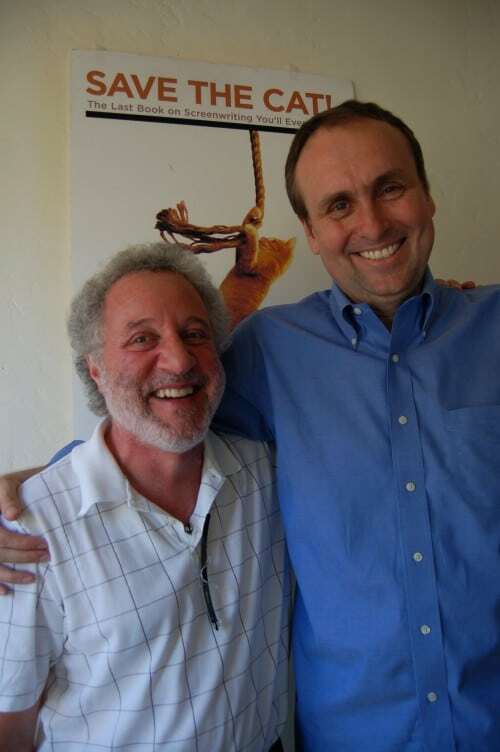 I first worked with Blake Snyder in 1986 and continued to work with him—on and off—until that fateful day in 2004 when publisher Michael Wiese asked me to edit a new screenwriting book. Called “Save the Cat,” Blake had written the first draft and Michael had already come up with the cover that would soon become iconic. At the time, Blake was busy selling scripts but wanted to “codify” what he’d first recognized when listening to audiotapes of films while commuting from his home in Santa Barbara to Los Angeles—story categories and beats he began to identify within the stories. And so his 10 genres, 15 beats, and now-popular phrases like “save the cat,” “pope in the pool,” and “double mumbo jumbo” were born. As the book came closer to its publication date, Michael sagely suggested we keep our goals modest, as the screenwriting book market was oversaturated (and still is 13 years later and counting!). The thing is… none of us had a clue what was about to happen. When the book was published in May 2005, Blake had his first book-signing at the now sadly departed Dutton’s in Beverly Hills, and the rest is history. 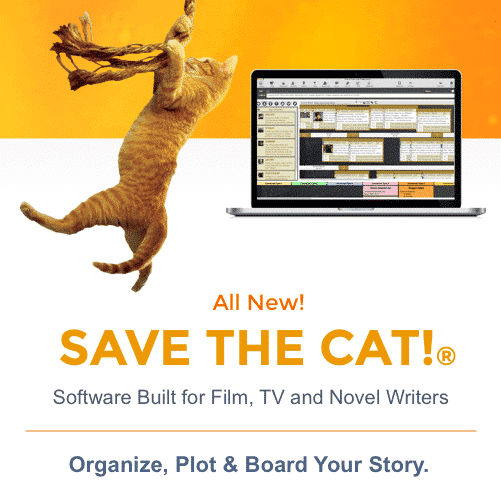 As I write this Foreword to the fourth book in the series—the first written by a “Master Cat” mentored by Blake, all the Save the Cat!® books have been embraced by the professional screenwriting community across the globe. So the question is… why? I think the biggest clue is how the Blake Snyder Beat Sheet fits so many movies made before Blake even dreamed of writing his book. You see, he didn’t really invent the beats, some of which were already popularized by Syd Field and Robert McKee—he simply made it easy for today’s writers to learn from those scribes who preceded them. For all those critics who bristle at “formula,” Blake was trying to do no more than provide a common language to analyze and create films based on the history of cinema. And so he came up with clever, easy-to-remember names for the beats, though his 10 genres are indeed revolutionary. The “why” is also because his style is so accessible and his enthusiasm so genuine. But the books’ success still boils down to the information he presents so that writers can achieve what those before them have, creating stories that resonate. Indeed, all these years later and almost a decade past Blake’s death, his language is still being used to help writers do what they do best: write. Thanks, BJ. I tire of the pigeon-holing of Blake’s discoveries. Those that only see a formula haven’t taken the time to digest what he presented. My writing falters when I try to adhere to this formula; that’s because I didn’t write according to my own voice. My writing is improved when I follow his advice (from the logline onward) because his observations are right on. Here, here! “Nobody puts Baby in a corner,” and Blake shouldn’t be there, either. 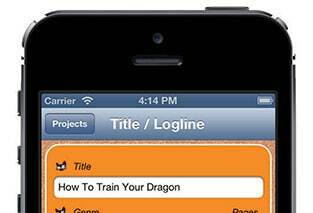 To strip down story and change to an essential framework is nothing but genius and a herculean feat. No one would complain that an architect learn structure. “But I can’t express myself with all these T-beams!” Who would hire such a builder? Thank you, BJ, for telling us again, about this lost treasure of a friend. Thanks so much, Forrest. Always great hearing from you. Thanks for your support, Bryan. This is a great post on the work of Blake Snyder. He loved story. He had an uncanny understanding of its true purpose, which is to show the internal transformation of a conflicted hero. 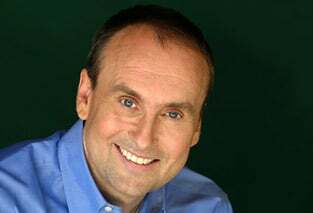 His method, with the story beats and catchy names to remember them by offers a wonderful way for writers everywhere to show that transformation to audiences and readers, time and time again. After all, that’s why we watch movies and read books–to change internally with the hero. Blake communicated this concept of the hero’s transformation in a powerful way through the Save The Cat Story paradigm. And he made it accessible to anyone who desires to craft a world-changing screenplay or novel. On a personal note, I owe a huge part of my story writing success to Blake Snyder’s work. 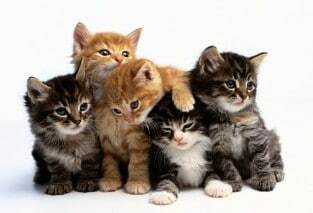 Many thanks to the Save The Cat staff for continuing it. Don’t ever stop. Thank you for this inspirational article, and also to those of you who have posted thoughtful comments. 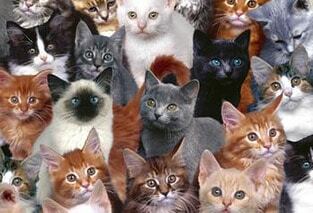 I, too, am immensely grateful to Blake, and to the staff at Save the Cat for their efforts and professionalism! What did Blake “invent.” Nothing. Aristotle invented the three act system. Everyone else is standing on his shoulders. As a wordsmith (your audience), invent is an inappropriate word (even with quotations marks around it). To imply Blake’s method of laying out a story is his invention is simply wrong. Joe Campbell wouldn’t even say he invented the Hero’s Journey. He discovered it. I love “The Cat” but let’s be straight here. Blake put a new twist to an old storytelling formula (not a dirty word), and we are all grateful for his contributions. But if you insist “invent,” where’s the patent?